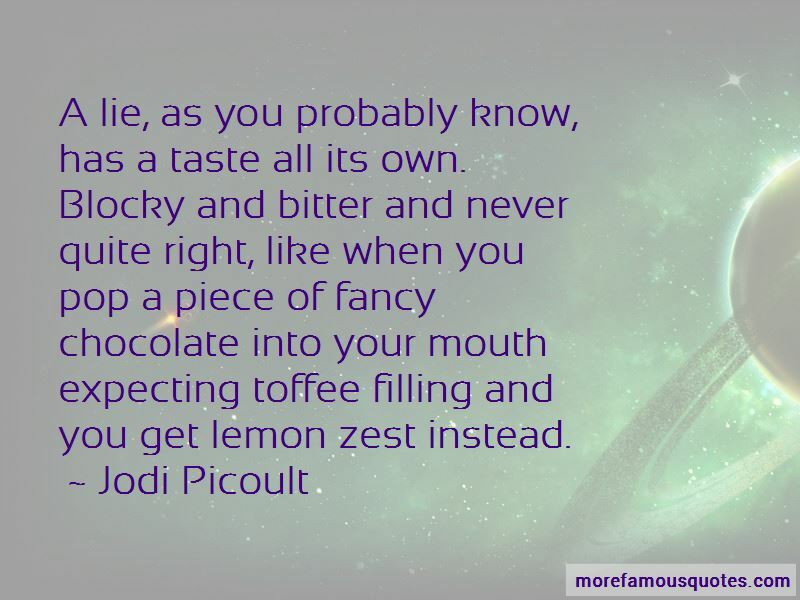 Enjoy reading and share 11 famous quotes about Bitter Taste In Mouth with everyone. “The century's greatest detective, advertised as solving every case imaginable. 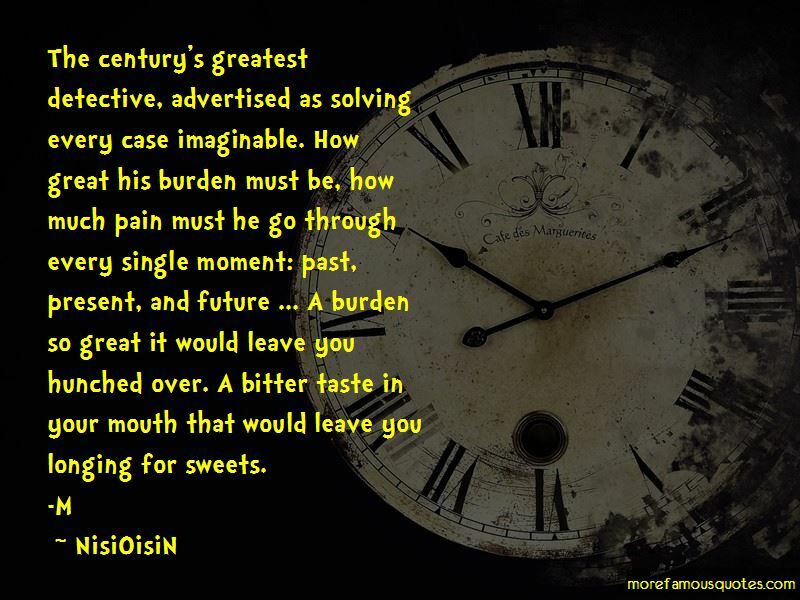 How great his burden must be, how much pain must he go through every single moment: past, present, and future ... A burden so great it would leave you hunched over. A bitter taste in your mouth that would leave you longing for sweets. Want to see more pictures of Bitter Taste In Mouth quotes? 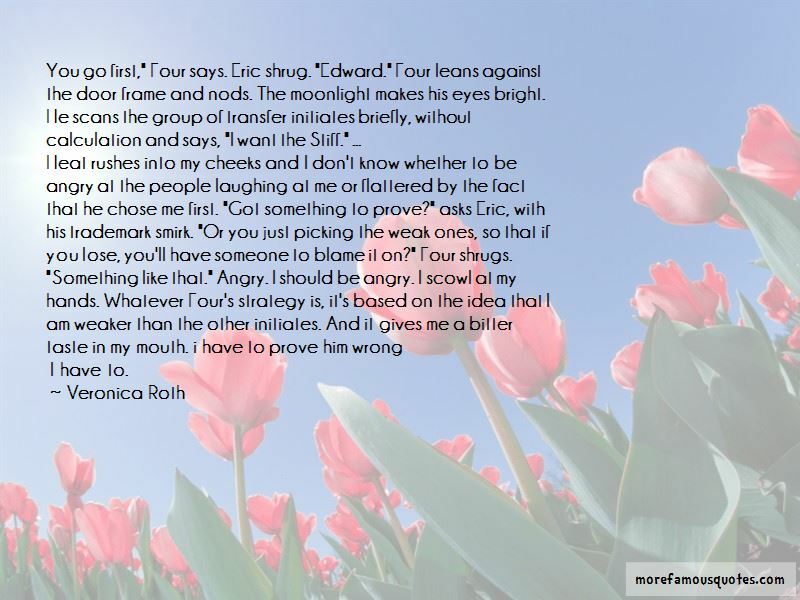 Click on image of Bitter Taste In Mouth quotes to view full size.